Another good day to you lovers, friends, family and visiting extraterrestrials. GF and I use Metrorail to get to and from work every day. I would find it quite easy to turn this blog into a continual self-absorbed groan on the frequently inoperational Metrorail escalators. First, I don’t really mind out-of-order motorized incline devices. I like walking. Walking makes me remember I’m alive. Walking makes me realize the world and I are the same. Sometimes walking is the only thing that feels real to me. Second, we have a functioning Metro system. It could be better, yes. But it could also not exist. I would not enjoy that alternative. However, sometimes I feel like I should complain about Metrorail. There are lots of things about which I feel I should complain even if they don’t really make me angry. I can’t explain (and neither can Pete Townshend). Today, two of three escalators leading out of the Court House Metro station were broken (or at least not running). The other escalator was [pretentious description ALERT] transporting humans and luggage down into the bowels of public transit. So, GF and I walked up the escalator. The person in front of me was wearing a book bag, carrying a book (defeating the purpose of the book bag?) and was wearing exercise gear. My face felt magnetically attracted to her book bag. I stared at it and it stared back. The abyss is a book bag. Yeesh. If you made it this far in today’s post, I apologize. I don’t remember reading or hearing anything so schmaltzy and pretentious that would have influenced me so lately. 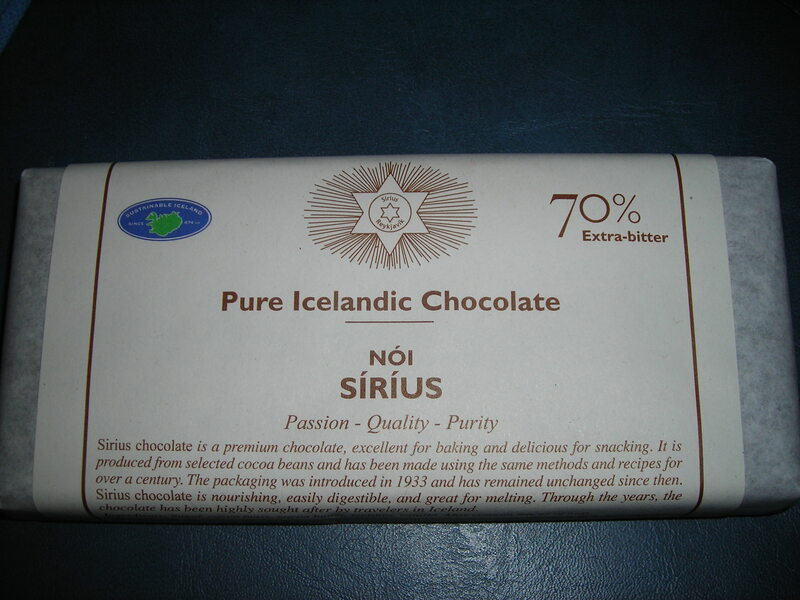 Perhaps it is the combination of whisky and Icelandic chocolate. "There's more to life than this"? I don't think so Bjork. And yes, I did eat the chocolate while listening to Bjork. I think it intensified the effect. By the way – Did you remember the video competition from yesterday’s post? No? Then read it and enter to win a parcel from…me!